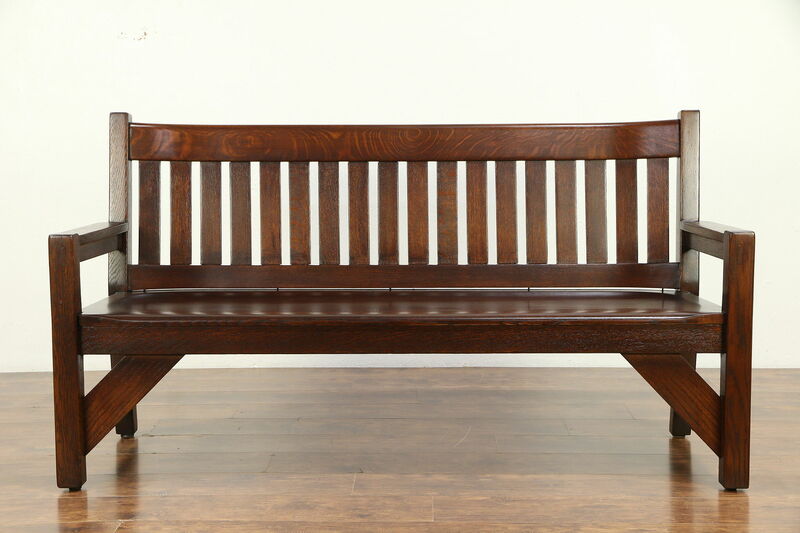 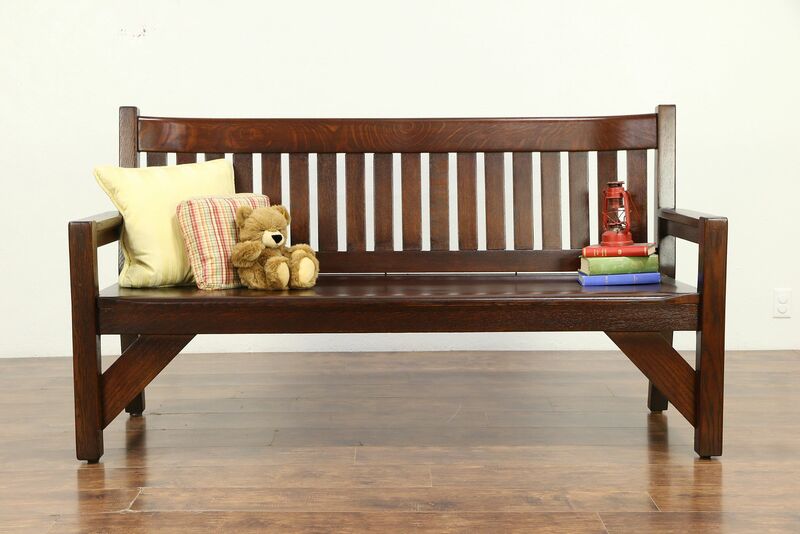 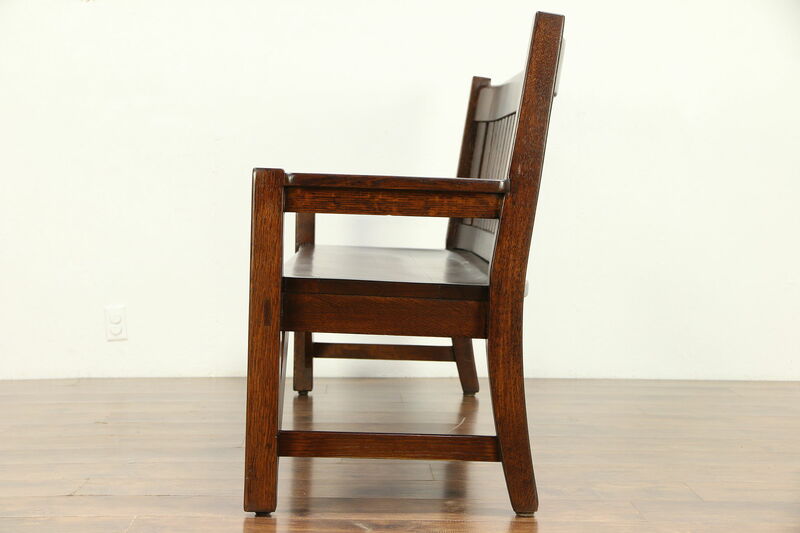 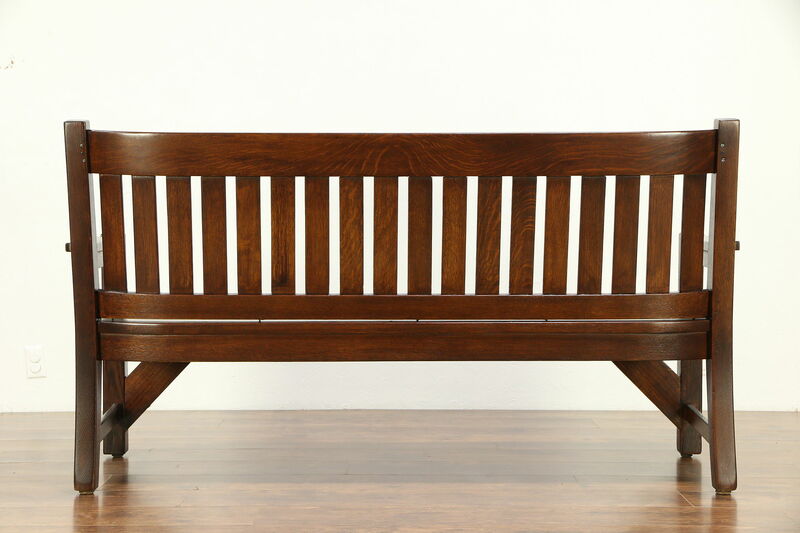 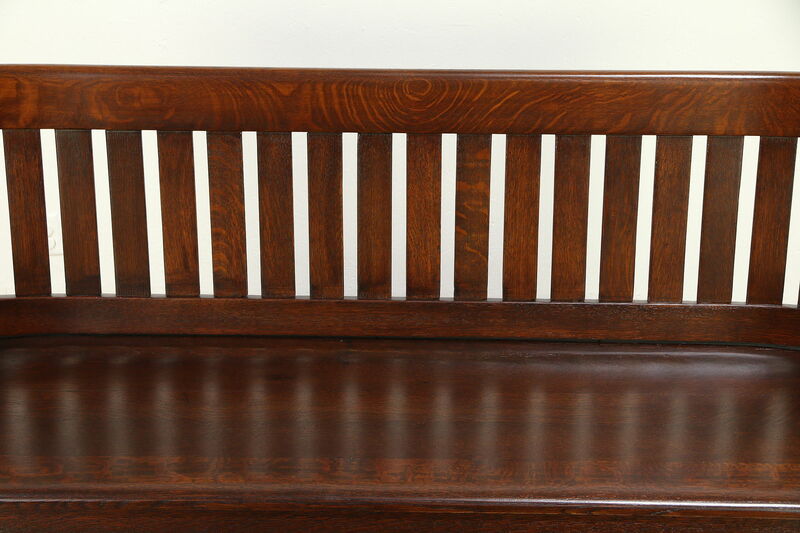 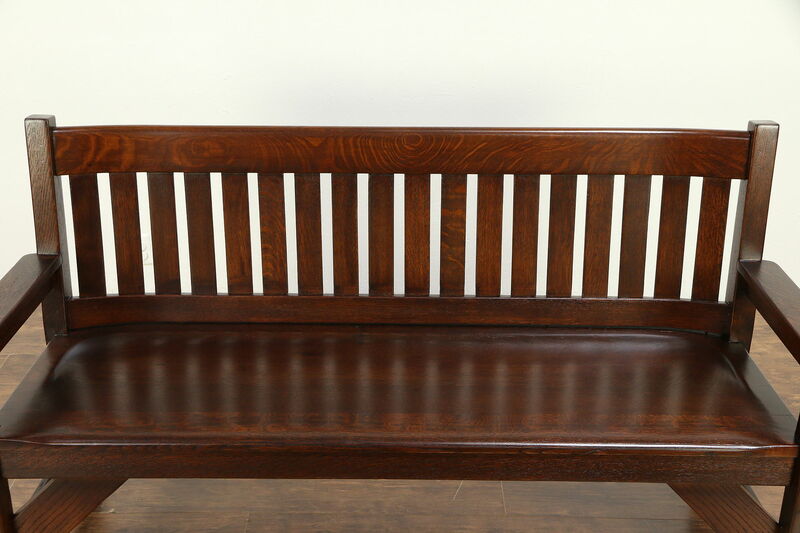 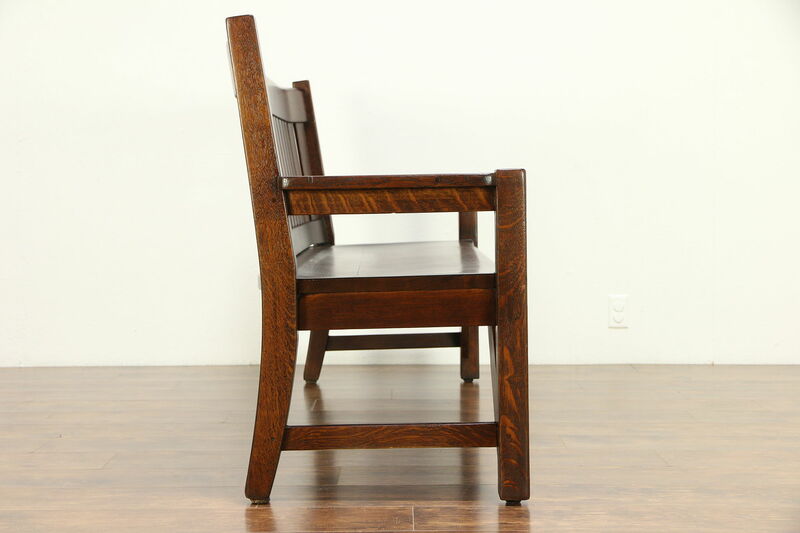 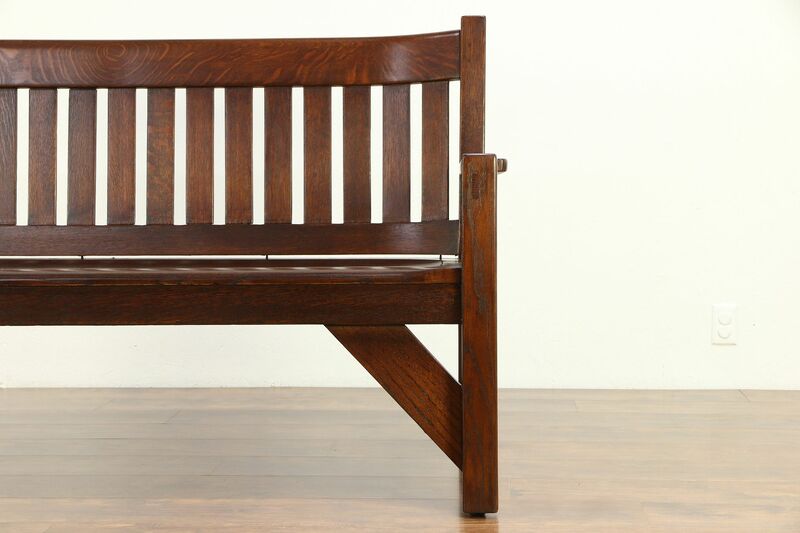 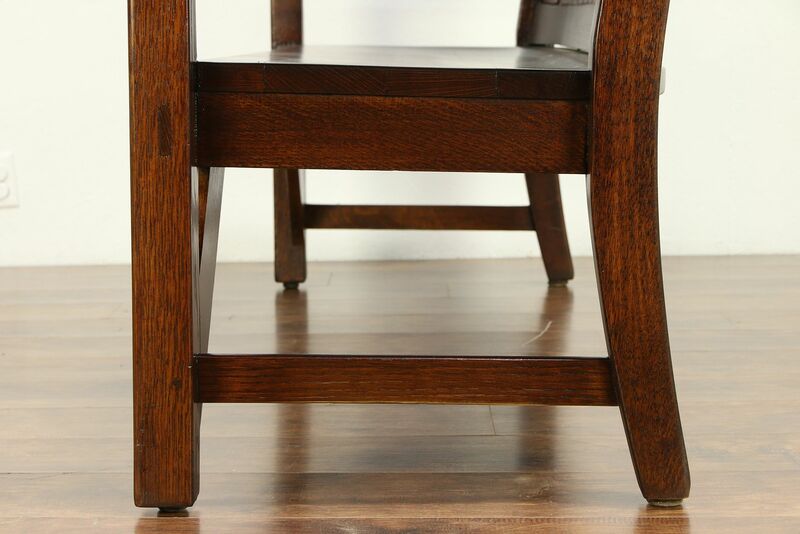 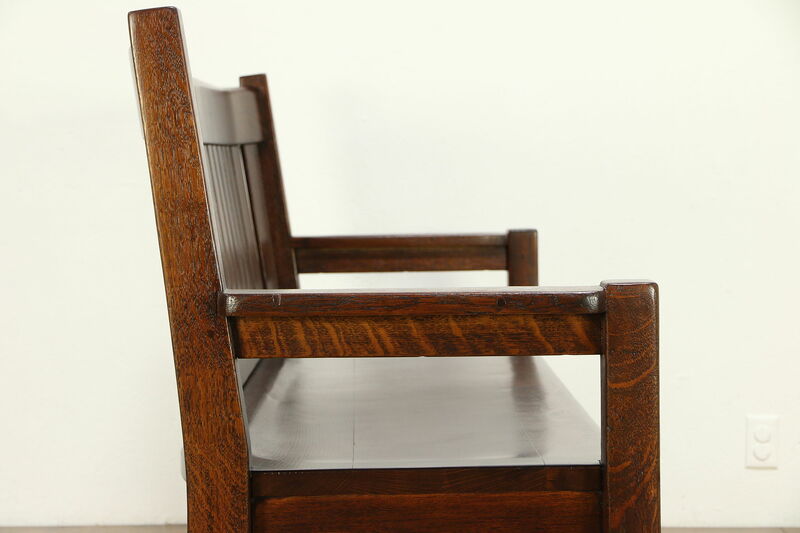 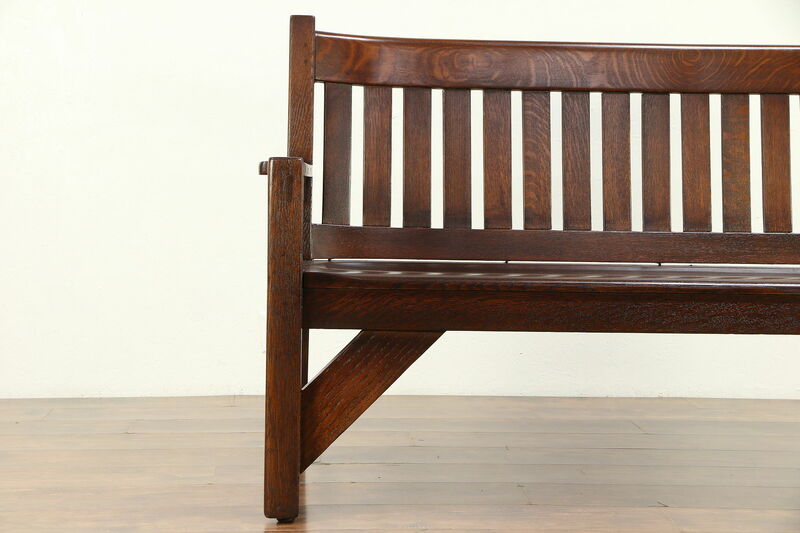 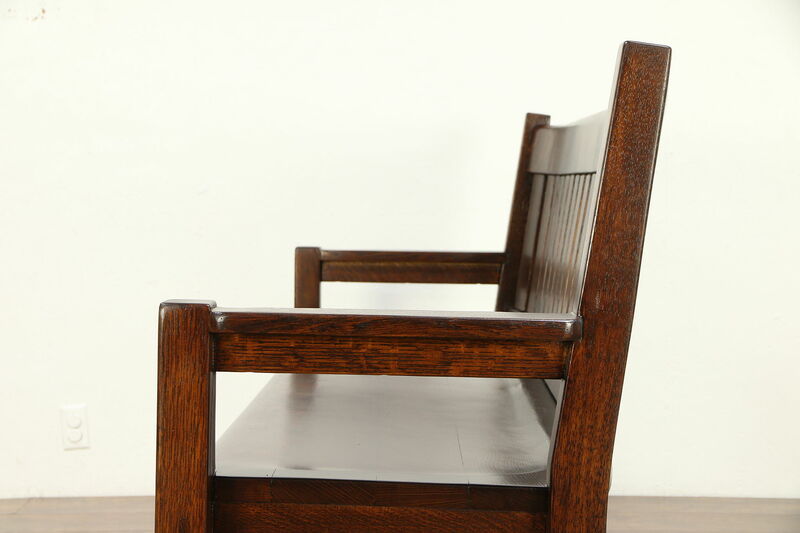 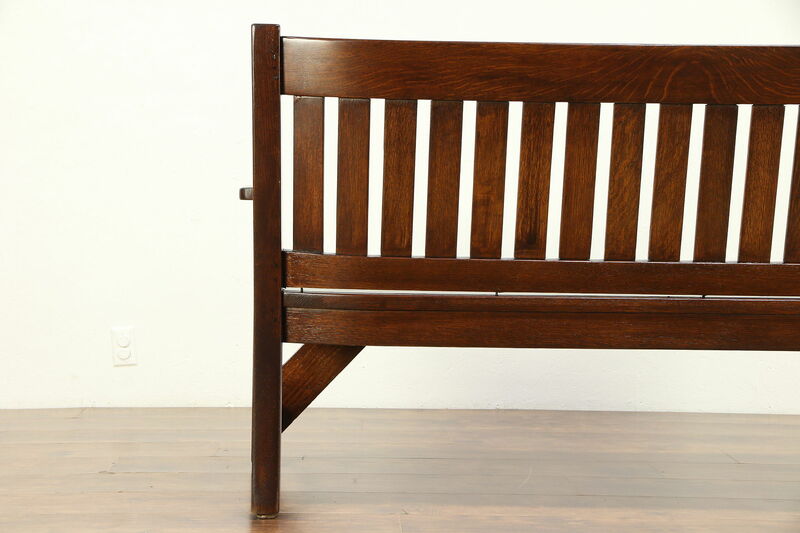 This Arts and Crafts or Mission Oak period solid quarter sawn oak bench was made for a railroad station about 1910. 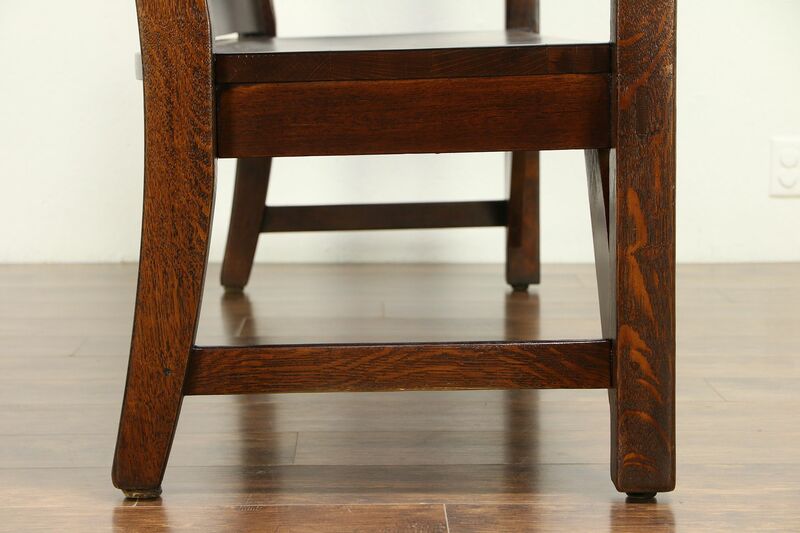 The restored deep finish is in excellent condition, preserving a few mars and stains on the seat for a little antique character, see photos. 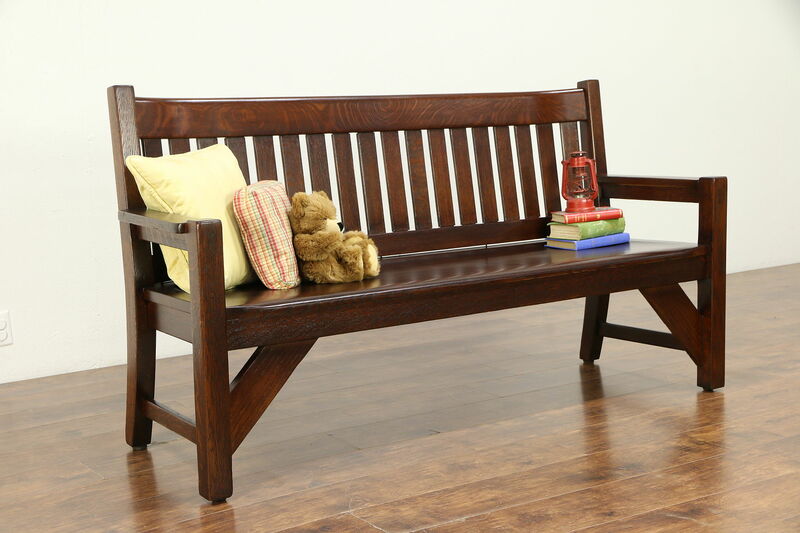 Reglued to serve another generation, the frame is sturdy on this rugged American made Craftsman furniture. 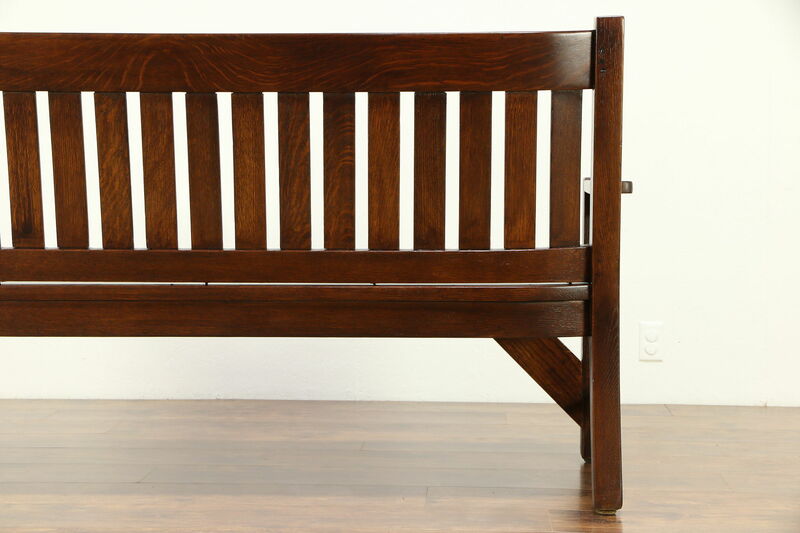 Size is 71" long, 23" deep, 38" tall and the seat is 18 1/2" high.